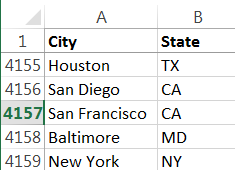 Copy and Paste your spreadsheet data into the table, or drag your excel file into the table (or use one of our samples). Watch a sample video to see how easy mapping is. Make sure the data includes headers and location information. Click the Show Errors button to view errors from geo-coding. Options have been automatically set, but they should be changed if anything is wrong. Changing options can change the marker description sample. 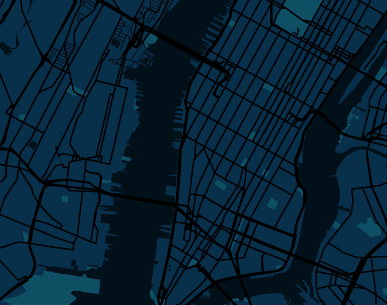 Hide Logo Available with premium maps. Custom logo: Available with premium maps. 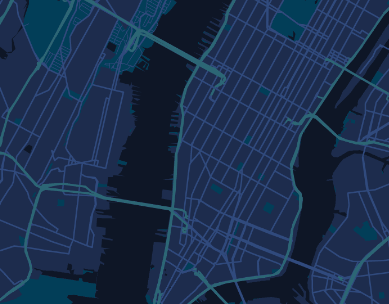 Available with Pro, Premium & Enterprise subscription based maps. Verify markers are correctly located. Move incorrectly located markers or remove unneeded markers. 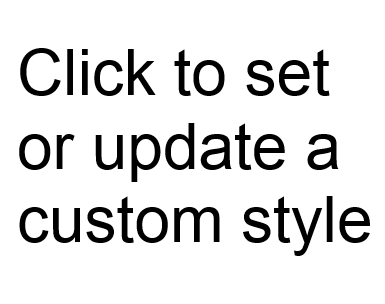 After changing options or data, click " Update Map ". Save the map when it looks correct. Multiple markers are in the same location. I want to move ALLONE at one time. Email has been sent but may show up in a spam or junk folder. Invalid Entry: The email address is not valid. Invalid Entry: The email address domain is not valid. Enter an email address if you want to edit your map or receive notifications for your map. Generate KML for use with Google Earth. Private - The map will not be shared except by you. Public - Map may be shared and found using google. Enter a password for extra protection for your map. By using this service, you agree to the google terms of service. 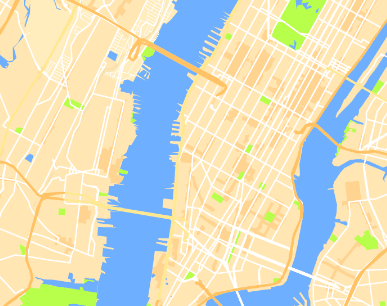 Use EasyMapMaker to map excel or other spreadsheet data onto a google map. 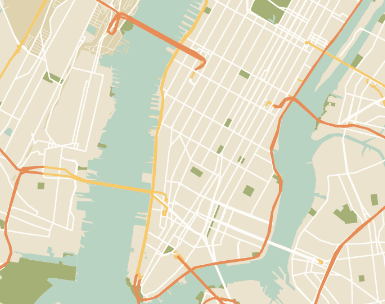 EasyMapMaker takes the work out of manually plotting multiple locations on a map. The first step is to copy (or drag & drop) your spreadsheet data including the column headers into the table by clicking on the table to reveal a text box. The data must include some location information, either an address or latitude/longitude coordinates. Set the options for your map. Be sure to set location information. Location information can consist of many combinations of the address (street, city, state, zip) as well as the latitude and longitude (set explicitly in separate columns). The whole location can be in one column and be set as the address, or it can be in multiple columns. Set other options if the data contains them. Use Advanced Options to add filters, add a left direction panel with a radius filter, hide certain data, upload a custom logo, or use custom markers (pins). Click on Make Map and wait for address location data to be translated into latitude and longitude so it can be placed on the map. Once the data is on the map, the pins can be moved or removed. Once the map looks good, save it. An email will be sent for your records to access the map in the future. After the map is saved, the map url will be provided. This url can be changed to something easier to remember. 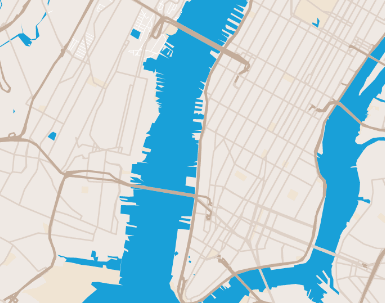 You can share the map, embed the map on a webpage, or print the map. EasyMapMaker Subscription supports data sets of 15,000 (Premium) and 30,000 (Enterprise) locations without the supplied latitude and longitude. Maps with multiple (or tens of thousands) locations can be created really fast with the address processor. 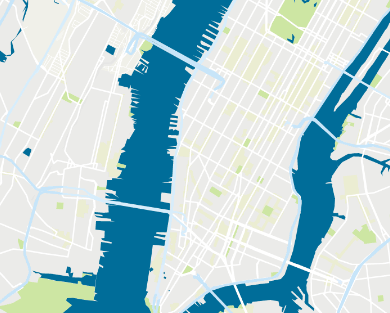 Large maps will render quickly with the clustering engine. Access your maps anywhere and anytime you have online access. This means there is nothing to run and download, everything can work on your computer, mobile device, or tablet. This also allows bug fixes and features to be rolled out without anything for you to download. Number pins on your custom map to reference them with other data. Pins can be numbered 1-99 when there are less than 100 locations on the map. Pins on the map can have fixed number set from the data or automatically be numbered. Categorize and group your markers and change the color of the pins to more accurately to reflect the data. Choose a column from your data to quickly group or categorize the markers. A legend will appear below the map for group markers that can also be used to filter the pins. 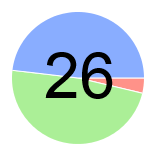 Subscribers have up to 20 marker colors. Other maps have 7 colors. 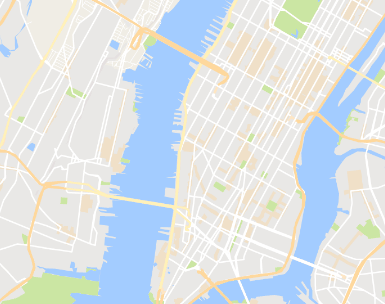 Limit the details available on the map by only allowing it to be zoomed into a certain region, or allow it to be zoomed in so different addresses are more distinguishable. 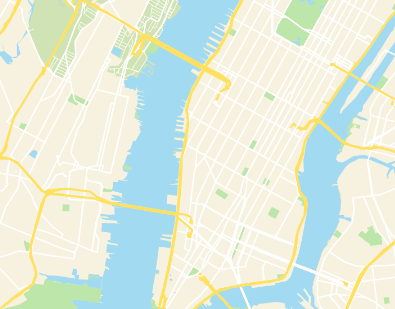 EasyMapMaker uses the Google geocoder (OSM geo-coder for free maps) to process addresses and attempt to find the correct latitude and longitude to place them on a map. 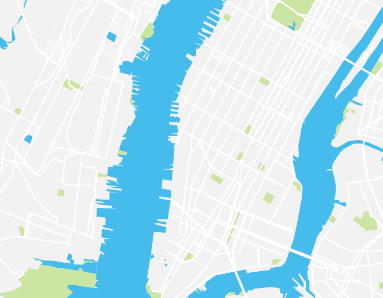 Create a custom pin map with thousands of locations quickly and easily. Maps created with EasyMapMaker automatically work on your mobile device. You can find directions to the nearest marker location or find your location on the map. Create a KML file to use on Google Earth or Google Maps (limited to 2,000 locations). EasyMapMaker automatically generates a KML file for you when you choose to save your map and have it save KML (Keyhold Markup Language). You can use the KML on Google Earth, Google Maps (limited to 2,000 locations), or any other program that accepts KML. 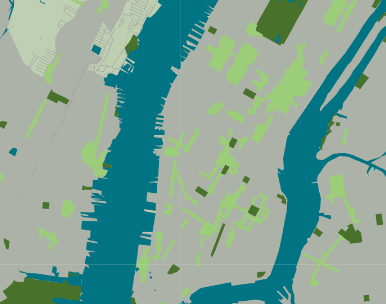 The KML file creator is only available for datasets up to 25,000 locations. Clustering groups large datasets by a gridbased formula so markers in certain bounds appear together in a cluster (group). This greatly improves map performance. The EasyMapMaker cluster engine allows maps to load incredibly fast since it shows individual pins on demand. 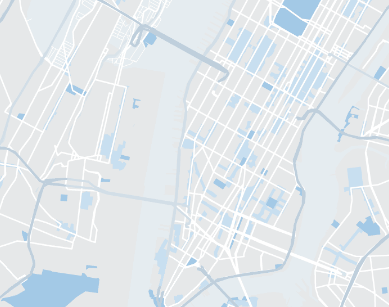 Turn any map into a heat map with Google's heat map layer. Maps can be rendered by color (red for hot spots) based on the density of pins in an area relative to the overall number of pins. Heat maps can render with the pins hidden or displayed. The opacity and radius for the heat layer can also be set. Find all points within a given distance from any location. A visible circle can be displayed to show the radius from an address. The distance from the location can be viewed below the map. Choose different search options from centering the map at the searched location and adding a pin to that location, or find the nearest location to the searched location. Searchable/filterable data can be selected. The search box can be hidden on all devices or enabled on all devices (including mobile devices). 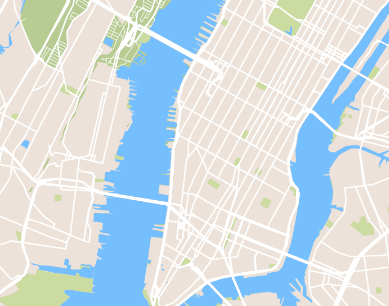 Create a Google Map with a different map style. Change the color of roads, the map, water, hide points of interest; there are nearly limitless options with a custom map style. 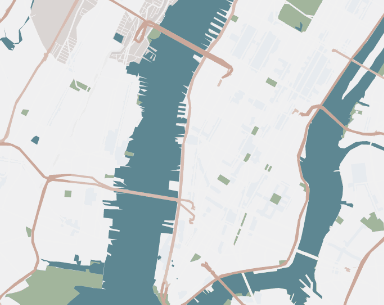 Easily create a custom map your own map style or choose from one of the 15 (including the default) that are predefined. Select up to 12 columns to use to filter data on the map. Filters vary from multi-select to single select filters. Dynamic filters means the filterable data changes based on availability. Filter counts show the number of items that are available for the given option. Filtering allows maps to be created with the combination of excel data to allow for more complex data analysis and visualization. 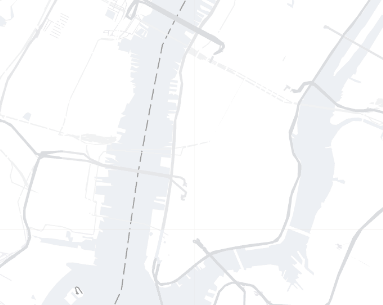 Easily export visible data on your map to an excel file. The Export Data option allows data to be exported into an excel file with the click of a button. Latitude and longitude coordinates are not available to export. Select data items to be viewable and hidden to allow for increased data privacy. The address or other details can be hidden from general map viewing while still allowing locations to be mapped correctly.